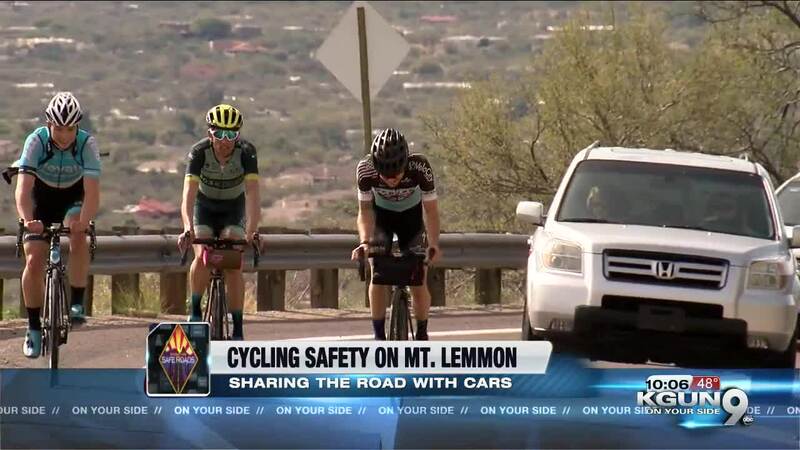 TUCSON, Ariz. - Mount Lemmon is a hotspot for cyclists -- but sharing the road with drivers can be dangerous in some areas on the mountain. 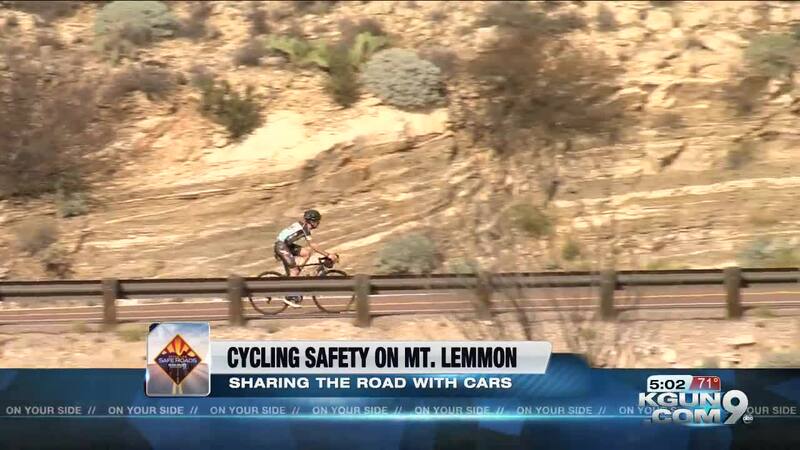 KGUN9 is committed to showcasing stories that highlight safety when it comes to sharing our roads. In our next Operation Safe Roads report, we take a look at safety concerns for both cyclists and drivers on Mt. Lemmon. Cyclists Isaiah Newkirk and Ricky Arnopol travel from Colorado each year to train on Mt. Lemmon. They say the mountain is pretty safe for cyclists, with a good shoulder for them to ride on going up. This is where drivers are typically going slower, too. But going down the mountain, is where they say things can get dangerous. Cyclists are often going the same speed as cars, and when one wants to pass the other, it can be unsafe, especially around turns. "If they can't get by us, they don't feel they can safely pass us, they sit right on the back of you," Arnopol said. "It's kind of scary at times." The Pima County Sheriff's Department recommends everyone, whether you're in a bike or a car, to be considerate of other people on the mountain.